Draft: 2004, Oakland Athletics, 2nd rd. Kurt Kiyoshi Suzuki...Graduated from H.P. Baldwin (Hawaii) High School in 2001...Attended Cal State Fullerton, majoring in Kinesiology where he won the Johnny Bench Award following the 2004 season, given annually to the nation's top collegiate catcher...Led Fullerton to the College World Series championship in 2004…His two-out RBI-single in the bottom of the seventh inning broke a 2-2 tie to lead the Titans to a 3-2 win over Texas in the championship game...He and his wife, Renee, have a daughter Malia, and two sons, Kai and Elijah...Hosted the inaugural Kurt Suzuki Baseball Clinic in Maui in 2012 to raise awareness for the All PONO Sports Organization, which promotes healthy lifestyles and exercise for children in Hawaii, as well as teaching baseball fundamentals ...Started the Kurt Suzuki Family Foundation in 2011 to support the scientific research of chronic illnesses-specifically kidney disease research- and encourage and promote healthy lifestyle choices...Is an ambassador for the NephCure Foundation... Along with his wife, raised over $61,000 for the Jon Wilhite Recovery Fund to help alleviate medical costs accrued by his friend and former Cal State Fullerton teammate who was injured in the tragic car accident that took the lives of Angels pitcher Nick Adenhart and three others in 2009...His cousin, Shane Victorino, played for 12 seasons in the major leagues. In his 12th Major League season, hit .271 with 24 doubles, 12 homers, 50 RBI, 22 walks and 45 runs scored in 105 games during his second season in Atlanta...Recorded a 3.80 catcher ERA, the sixth-best mark in the National League...Finished the season strong...Went 30-for-91 (.330) with seven doubles, four homers, 14 RBI, four walks and 13 runs scored in 30 games from Aug. 9 through the end of the season... Appeared in all four games of the NLDS against the Los Angeles Dodgers...Started games two and three. Completed his 11th MLB season in his first year with Atlanta…Batted .283 (78-for-276) with a career-high 19 home runs in 81 games…Also reached base at a career-best .351 mark and had his second highest slugging percentage at .536... Started 71 games behind the plate and committed just three errors in 598 total chances for a .995 fielding percentage…Among qualifying catchers, his .995 fielding percentage would have ranked tied for sixth in the majors... Slugged a career-most 19 home runs in just 276 at-bats (14.53 AB/HR) on the season...Hit doubledigits in the home run category for the first time since the 2011 season... From 7/1 through the end of the season, Suzuki homered once every 10.87 at-bats, the sixth-best rate in the majors over that span (minimum 150 at-bats)...Only Giancarlo Stanton, J.D. Martinez, Rhys Hoskins, Joey Gallo and Aaron Judge homered more frequently than Suzuki in that time frame... Posted three multi-homer games, taking his career total to five...He was one of four catchers with three multi-homer efforts in 2017, joining CHI's Willson Contreras, NYY's Gary Sánchez and SEA's Mike Zunino... Ended the season with an eight-game hitting streak…Hit .424 (14-for-33) with four home runs and eight RBI…Had a 1.290 OPS during the run which started on 9/19... Hit two home runs on 9/22 to extend his careerbest home run total to 18...Stroked his 18th home run in his 255th at-bat of the season…Hit 15 home runs over 570 at-bats during his previous career-high season in 2009. Had eight home runs in 11 July games… Hit one home run in his first 19 games of the season... Hit 15 home runs from 7/1 through the end of the season, the most of any player on the club in that time span...Homered in a career-best three consecutive games, 8/19-8/25... After snapping a 0-for-18 skid with a two-hit game on 6/14, hit .316 (59-for-187) with 16 home runs over his final 51 games…Had 34 RBI and a .975 OPS in this stretch... Closed out the season batting .364 (24-for-66) with seven extra-base hits, nine RBI and a .400 on-base percentage in 17 September games... Batted .345 (20-for-58) with a .776 slugging percentage against left-handed pitching... Eleven of his 32 extra-base hits came against lefties, despite having 160 more at-bats against righties... Teamed with fellow catcher Tyler Flowers to place in the top five among MLB catching tandems in several offensive categories including batting average (3rd, .283), home runs (T3rd, 30), on-base percentage (2nd, .364) and RBI (4th, 98). In his third season with Minnesota, tied for sixth in the AL with 99 games behind the plate...Served as the club's Opening Day catcher, the eighth time in his career to start the opener as catcher (three with Twins, five with Oakland)...Recorded his 1,000th career hit 5/22 vs. TOR, singling off Marcus Stroman...Hit pinch-hit home run 6/18 vs. NYY, a solo shot off Aroldis Chapman…The blast marked his third career pinch-hit homer and first since 2008...Set season-high and tied career-high with four hits 6/21 vs. PHI…Recorded six RBI to set a career-high...Recorded his 500th career RBI, 7/8 at TEX...Is one of six active catchers to reach that milestone...Finished with eight home runs, the third most of his career and most since hitting 14 in 2011 with Oakland...Hit .295 (26-for-88) with runners in scoring position...Hit .258 (89-for-345) with 24 doubles on the season; ranked third among American League catchers in doubles and batting average (minimum 200 at-bats). Began second season with Twins and was club's Opening Day catcher, the seventh time in his career to start the Opener at catcher (2 with Twins, 5 with Oakland)....Homered in consecutive games for the eighth time in his career and first time since 2010, April 16 vs. Kansas City and April 18 vs. Cleveland....Recorded 900th career hit May 13 at Detroit, doubling off Kyle Lobstein... Played in 1,000th career game May 14 at Detroit. A Hit safely in season-high six straight June 14-20.... Hit walk-off single August 1 vs. Seattle, the fifth walk-off hit for the Twins on the season and ninth of his career... Hit 200th career double August 27 at Tampa Bay... Hit .290 (36-for-124) with runners in scoring position and .308 (16-for-52) with RISP and two outs.... Caught 130 games (123 starts), the third most of his career and most since 2009 (135)...130 games ranked second in the AL, trailing Salvador Perez (139) and third in baseball, trailing Perez and Yadier Molina (134)...most games caught for a Twin since 2008, when Joe Mauer caught 135. Made Twins debut March 31 at Chicago-AL, hitting second and catching, going 2-for-4 with three RBI, becoming the first Twin to drive in three runs on Opening Day since Shannon Stewart drove in three April 5, 2004 vs. Cleveland...became the 11th Twin to ever drive in three-plus runs on Opening Day, and second in club history to do so in Twins debut; the other was Brant Alyea, who drove in seven in his first game as Twin April 7, 1970 at Chicago-AL, coincidentally the only other time in club history the Twins opened in Chicago...Recorded 19 RBI in March/April for an average of 3.32 at-bats-per-RBI, the highest among qualifiers in baseball...Set a Twins record for most RBI for a catcher in March/April, and his second most RBI of any month in his career (24 in September of 2009)...Hit first home run as Twin April 19 at Kansas City, a solo shot off Bruce Chen...Hit first career inside-the-park home run and 49th in Twins history May 20 at San Diego; first for a Twin since Joe Mauer July 21, 2007 vs. Los Angeles-AL...Hit safely in 13 straight home games June 4-July 6, hitting .431 (22-for-51) with seven doubles and nine runs scored during the streak...Hit safely in nine straight June 11-22, hitting .424 (14-for-33) during the span...Played in 900th career game June 22 vs. Chicago-AL...Pre-All-Star break, led all AL catchers in doubles (18) and batting average (.309), ranked second in hits (86), tied for second in RBI (37) and tied for fourth in walks (23)...Named to AL All-Star team for first time in career and was a reserve; caught the ninth inning, helping Glen Perkins earn the save...Became eighth catcher in club history to be named an All-Star, joining Earl Battey (1962, 63, 65, 66), John Roseboro (69), Butch Wynegar (76, 77), Dave Engle (84), Tim Laudner (88), A.J. Pierzynski (2002) and Joe Mauer (06, 08, 09, 10, 12, 13)...Tied season-high with nine-game hitting streak September 13-22, hitting .355 (11-for-31) with seven doubles and six RBI during the streak...Also doubled in six straight games September 13-19, the longest streak in baseball on the season...Ranked third on the Twins in hits (130), doubles (34) and RBI (61)...Hit .324 (36-for-111) with runners in scoring position, 12th best in the AL...Among catchers in the AL, he ranked first in batting average (.288), on-base percentage (.345) and doubles, fourth in hits, tied for fourth in walks (34), fifth in RBI, and tied for fifth in games (131)...Given the Bob Allison Award for Twins best leadership voted on by the Twin Cities Chapter of the BBWAA. Started season with Washington... Tied career-high with 10-game hitting streak May 3-19 (last 2009), with exactly one hit in each game during the streak, tying the Nationals franchise record for consecutive games with exactly one hit (Shane Andrews, April 12-23, 1998 with Montreal)... Started 61 of the Nationals 84 games at catcher through July 3, then started just 12 of final 43 games with Washington before being traded to Oakland August 23 in exchange for pitcher Dakota Bacus... Hit .273 (18-for-66) with two home runs and 13 RBI in 28 games post-All-Star Break... Hit .303 (10-for-33) with two home runs and seven RBI in 15 games for the A's... Played 94 games overall, his fewest since his rookie season of 2007 (68)... Committed six errors, posting a .991 fielding percentage, which ranked fifth best among all catchers in baseball. Was GM Mike Rizzo's key midseason acquisition en route to Washington claiming NL East crown...combined to hit .235 with 20 doubles, 6 homers and 43 RBI for the A's (75 games) and Nationals (43) in '12...batted .267 with 5 doubles, 5 homers and 25 RBI in 43 regular-season games with Washington...finished 15-for-41 (.366) with 4 doubles, a homer, 20 RBI and 7 walks with RISP during tenure with the Nationals...at time of trade, led qualified AL catchers in fielding percentage (.996), caught stealings (23) and caught-stealing percentage (38.3%)...posted 2 hits, including a solo homer, and 2 RBI in a 4-3 win on Sept. 2 vs. STL. Batted .237 with 14 home runs and 44 RBI in 134 games...the batting average was a career low, as washis .301 on-base percentage...had the sixth-lowest batting average in the American League and the 10thlowest on-base percentage...however, his 14 home runs were the second-best total of his career and secondmost on the A's...has now reached double figures in home runs in each of his last three seasons...has42 home runs and 191 RBI as a catcher over the last three years...the RBI are the most in the AL amongcatchers over that span and the home runs are second most (Mike Napoli, 48)...grounded into 14 doubleplays, which tied for the team lead...batted .260 over his first 37 games through May 17, .168 over hisnext 36 contests from May 18 to July 3 and .265 from July 4 through the end of the season...hit 12 ofhis 14 home runs off right-handed pitching...had a .416 slugging percentage against righties comparedto .308 against lefties...13 of his 14 home runs were solo shots...seven came with two strikes...batted.204 with runners in scoring position, which was seventh lowest in the AL...had a .284 career averagewith RISP entering the season...was just 1-for-10 (.100) with the bases loaded and is 13-for-60 (.217)with the bases full in his career...made 127 starts at catcher, which ranked third in the AL...tossed out23-of-121 (19.0%) attempted base stealers, which was the fourth-lowest percentage in the league...his 98 stolen bases allowed led the AL and ranked second in the majors (Brian McCann, ATL 104)...they tied for second most in Oakland history...has thrown out 73-of-402 (18.2%) in his career...went5-for-51 (.091) in interleague play...entered the season with a .315 career average against the NationalLeague...had just five multiple RBI games, all two RBI games...has not driven in more than two runsin a game since July 25, 2010 when he had three against Chicago (AL)...has a streak of 190 consecutivegames with two RBI or less...led the A's with 40 starts batting seventh and 37 hitting eighth...hit .283with seven home runs and 19 RBI when batting eighth. OAKLAND: Made his fourth straight Opening Day start at catcher April 1 against Seattle...the fourstarts are tied for second most by a catcher in Oakland history...Terry Steinbach holds the record withnine...played in the 500th game of his career April 7 at Toronto...was on the paternity list from April27-28 for the birth of his first child, Malia...drove in a run in each of his first five games following hisreturn, matching the longest such streak of his career...homered on an 0-2 pitch May 2 against Texas...it was his seventh career home run on an 0-2 count...since pitch counts were tracked beginning in 1988,that is tied for the most by an Oakland Athletic (McGwire and Tejada)...singled in the eighth inninglater that day against the Rangers for the 500th hit of his career...opponents were successful in 15consecutive stolen base attempts from May 6-30 and he tossed out just 6-of-62 (9.7%) attempted basestealers from May 6 to July 26...struck out twice May 13 against Chicago to snap a career-best streak of 17 games and 73 plate appearances without a strikeout...batted .188 with one RBI over a 24-gamestretch from May 18 to June 14...committed his first error of the season May 20, snapping a 78-gameerrorless streak as a catcher dating back to his last miscue on Aug. 8, 2010...the streak was six short ofhis career high of 84...doubled in the fourth inning May 22 against San Francisco for the 100th doubleof his career...hit a two-run home run against Florida June 30, his only home run with a runner on baseall year...finished June with a .157 batting average, which was the lowest mark in the AL and secondlowest in the majors (Werth, WAS .154)...it was the third-lowest June batting average in Oakland history,based on a minimum of 75 plate appearances (Billy Williams, .145 in 1976; Jason Giambi, .152 in2009)...it was just the second time in his career he hit under .200 in a month (.185 in August, 2010)...enjoyed his best month of the season in August when he batted .282 with five home runs and 10 RBI...all three figures were his best single-month totals in 2011...had his second career two-homer game Aug.17 against Baltimore (also June 3, 2010 at Boston)...that capped a 24-game streak from July 15-Aug. 17where 14 of his 21 hits were for extra bases (nine doubles, five home runs)...matched his season highwith three hits Sept. 12 against Los Angeles, but went 5-for-37 (.135) over his final 13 games...appearedin his 592nd game as a catcher Sept. 25 at Los Angeles, which moved him past Ramon Hernandez forsecond most in Oakland history. Continued to be one of the most durable catchers in the AmericanLeague, tying for second among AL backstops with 121starts, despite missing 19 games while on the disabled list andthree on the bereavement list...has started 389 games at catcherover the last three seasons, which is second most in the majorsbehind Jason Kendall (398)...tied with Kevin Kouzmanoff forthe team lead in RBI (71) and tied for second in home runs(13)...it marked the second consecutive season he led the clubin RBI, as he became the first catcher in Athletics history tolead the team in RBI more than once...the only other time anA's catcher led the team in RBI was in 1944 (Frankie Hayes)...however, the RBI were second fewest by a team leader in Oaklandhistory (Mitchell Page, 70 in 1978)...had career-highs intriples (2) and hit by pitches (12) but posted career lows witha .242 batting average, .303 on-base percentage and .366 sluggingpercentage...the batting average was ninth lowest in the AL and the on-base percentage was 10thlowest...ranked fourth in the AL in plate appearances per strikeout (11.10) and tied for fifth in hit bypitches and grounded into double plays (22)...in addition to RBI, he also led the team in hit by pitches,grounded into double plays and go-ahead RBI (21)...A's pitchers had a 3.27 ERA with him behind theplate, which was the lowest mark in the AL and third lowest in the majors...they had a 4.46 ERA withthe other three catchers...ranked second among AL catchers in total chances (868) and putouts (825)and was third in games (123)...committed a career-high eight errors for a .991 fielding percentage,which ranked fourth lowest among the 14 AL qualifiers behind the plate...tossed out 10-of-76 (13.2%)attempted base stealers, which was the lowest percentage in Oakland history...the previous low was15.1% by Jason Kendall in 2005...his caught stealing percentage was third lowest in the AL...hasthrown out 50-of-281 (17.8%) in his career...ranked second among AL catchers in RBI (66) and tiedfor third in home runs (13)...the RBI were fourth best by a catcher in Oakland history...was batting.266 with 12 home runs and 46 RBI in 76 games over the first four months of the season...then hit .207with one home run and 25 RBI over his final 55 games since Aug. 1...now has a .281 (305-for-1087)career average through July 31, .239 (172-for-721) from Aug. 1 through the end of the season...hit .213against left-handed pitching and .253 with 11 of his 13 home runs against right-handers...now has a .228(108-for-474) career average against lefties, compared to .277 (369-for-1334) against righties...was just 1-for-10 (.100) with the bases loaded...hit three home runs with an 0-2 count, which tied for the most inthe majors...now has six career 0-2 homers...since pitch counts were tracked in 1988, only Mark McGwireand Miguel Tejada, with seven each, have more 0-2 homers as an Athletic ...batted .241 against theNational League but has a .315 (57-for-181) career average in interleague play...in addition to his 121starts at catcher, he also hit .259 in seven starts at designated hitter and was 0-for-1 as a pinch hitter...hit.222 in 59 starts batting third and .272 with nine of his 13 home runs in 48 starts hitting clean-up...alsobatted fifth 21 times...had a .338 average with one out and .198 with zero or two outs. OAKLAND: Made his third straight Opening Day start at catcher, April 5 against Seattle...committedtwo errors, the first two-error game of his career...had his seventh career walk-off hit April 7 against Seattle,a double...it was his third walk-off double, which ties Terrence Long for the most in Oakland history...hit a three-run home run in the first inning April 22 against New York, then grounded into a tripleplay in the sixth inning...it was the seventh triple play turned against the A's in Oakland history, the firstsince Geronimo Berroa hit into one May 14, 1994 at Kansas City...was batting .254 with four homeruns and 11 RBI in 17 games when was placed on the 15-day disabled list April 30, retroactive to April24, with an intercostal strain...it was his first career stint on the DL and it marked the first time over thelast three years he has gone more than two consecutive games without starting at catcher...went 3-for-8(.375) with four runs, two doubles, a home run, five RBI and two walks in three starts at catcher on arehab assignment with Triple-A Sacramento from May 11 to 15...was reinstated from the DL May 16and started each of the A's first 11 games at catcher following his return, matching the longest consecutivegames started streak at catcher of his career (June 6-18, 2008 and July 21-Aug. 2, 2008)...started 11straight behind the plate again from June 21 to July 3...drove in the winning run May 18 against Seattlewith a RBI single in the bottom of the 10th inning...it was his second walk-off hit of the season andeighth of his career (three singles, three doubles, two home runs)...the eight walk-off hits are tied forthird most in Oakland history...had a career best streak of four consecutive multiple hit games from June1-4 (8-for-19, 421), including June 3 at Boston when he had his first career two-homer game...matchedhis career-high with four hits June 8 against Los Angeles and Aug. 28 at Texas and now has five careerfour-hit games....was placed on the bereavement list June 11, missing the three-game series at San Franciscobefore returning to action June 15...started 83 of the A's final 97 games at catcher but hit just .228following his return...batted .292 with six home runs in June...the home runs tied for seventh in the ALand were his most ever in a month...is a .311 (88-for-283) career hitter in June with 13 home runs, bothof those marks his best for any month of the season...agreed to terms on a four-year contract throughthe 2013 season with a club option for 2014, July 23...hit .128 (10 for 78) over a 22-game stretch fromJuly 31 to Aug. 26, including a 0-for-22 streak from Aug. 19 to 26...the hitless streak was one short ofhis career-high (23, May 7-14, 2008)...batted .185 in August, which tied for third lowest in the AL andwas the lowest one month average of his career...his previous low was .204 in July, 2007...homered inthe final game of the season, Oct. 3 at Seattle, to snap a career long 56-game homerless streak...it washis first home run since July 28 at Texas. Led American League catchers in games started for the second consecutiveseason (132) and continued to improve offensively...hadcareer-highs in runs (74), hits (156), doubles (37), home runs (15),RBI (88), stolen bases (8) and slugging percentage (.421)...led the A'sin hits, doubles, RBI, slugging, hit by pitches (8), sacrifice flies (7),multiple RBI games (20) and go-ahead RBI (18)...became just thesecond catcher in Athletics history to lead the club in RBI...the otherwas Frankie Hayes, who had 78 RBI for Philadelphia in 1944... thelast A's catcher to lead the team in doubles was Hal Smith of the 1957Kansas City A's (26)...led the A's in hits for the second consecutiveseason but his slugging percentage was the lowest ever by an Oaklandteam leader...struck out 59 times for an average of 10.41 plate appearancesper strikeout...that was the sixth best ratio in the AmericanLeague...however, walked just 28 times for an average of 21.93 plateappearances per walk, which was fifth highest in the AL...his .313 onbasepercentage was the lowest of his three seasons...also tied for ninth in the AL in sacrifice flies andreaching base on an error (8)...in addition to games started, he also led AL catchers in innings (1173.1),putouts (923) and total chances (996)...tied for the lead in games (135), ranked second in assists (68)and was fourth in fielding percentage (.995)...the total chances were second most in Oakland history toJason Kendall's record of 1044 in 2005 and the assists and fielding percentage were fourth best...however,tossed out just 17 of 98 (17.3%) attempted base stealers and that was the second lowest percentageby an Oakland catcher since 1974 (Kendall, 15.1% in 2005)...has thrown out 40 of 205 (19.5%) in hiscareer...has started 324 of the A's 393 (82.4%) games behind the plate since Kendall was traded July 16,2007...now has 342 games caught in his career, which is eighth most in Oakland history...was namedas the third best defensive catcher in the AL in Baseball America's best tools survey...led AL catchersin doubles (34), RBI (83) and stolen bases (8), ranked second in runs (71) and third in hits (144)...thedoubles were an Oakland record for a catcher, topping the previous mark of 31 set by Terry Steinbachin 1991...they were the most by an Athletics catcher since Mickey Cochrane had 35 in 1932...the RBIwere second best by a catcher in Oakland history and the steals tied for third best...batted .311 on theroad compared to .234 in Oakland...hit .245 with the bases empty and .310 with runners on...batted.293 before the All-Star Break and .251 after the break...however, had five home runs and 37 RBI in 79games before the ASB and 10 home runs and 51 RBI in 68 games after the break...ranked eighth in theAL in post-break RBI...hit .297 with three home runs and nine RBI in 16 interleague games and now owns a .346 (44 for 127) career average against the National League with six home runs and 20 RBI in35 games...has a .264 lifetime average against AL competition...combined for a .333 batting average inthe eighth and ninth innings...batted .230 with six of his 15 home runs with two strikes...has hit 11 ofhis 29 career home runs with two strikes...in addition to his games at catcher, he also batted .306 in 10games at designated hitter and was 1 for 4 (.250) with two walks, a hit by pitch and two RBI as a pinchhitter...is now 7 for 14 (.500) with a double, two home runs, six RBI, two walks and a hit by pitch in hiscareer in the pinch...started games at every spot in the order except ninth and saw his most action with33 games in the five spot, where he hit .299. In his first full season in the majors, he led American League catchers in games (141) and gamesstarted (136) while hitting a team leading .279 for the A's...that was the lowest batting average by anA's team leader since Jeff Burroughs hit .277 in 1982...also led the A's in hits (148), hit by pitches (11),multiple hit games (36) and grounded into double plays (20) while tying Jack Cust for the team lead ingames played (148)...became the first catcher to top the club in games since Jeff Newman in 1979 (143)and his games played were the fewest by an A's team leader since Scott Spiezio led the club with 147games in 1997...had the fewest hits by an A's team leader in a non-strike season since Rickey Hendersonin 1982 (143)...tied for seventh in the AL in hit by pitches and tied for 10th in GIDP...batted .241 overhis first 45 games through May 24, hit .358 over a 51-game stretch from May 25 to July 28 and finishedthe year by compiling a .237 average over his final 52 games...hit .291 with six of his seven home runsand 37 of his 42 RBI against right-handed pitching and .246 against left-handers...batted .318 with fivehome runs and 28 RBI at home and .241 with two home runs and 14 RBI on the road...had the ninth besthome batting average in Oakland history...hit .282 with runners in scoring position, but that droppedto .196 with RISP and two outs...was 1 for 13 (.077) with the bases loaded, the third lowest mark inthe AL...was 5 for 8 (.625) with a double, two home runs and four RBI as a pinch hitter...tied for theAL lead in pinch home runs and tied for fifth in pinch hits...his batting average was the best amongAL pinch hitters with five or more plate appearances...hit .389 with two home runs and 10 RBI in 15interleague games and .267 with five home runs and 32 RBI in 133 games against the AL...in additionto leading AL catchers in games and games started, he also ranked first in innings caught (1215.0), totalchances (986) and putouts (927)...ranked third among Major League catchers in games, games startedand innings...his putout total was second best in Athletics history by a catcher to the record of 986 setby Jason Kendall in 2005...his innings were third best in Oakland history...tossed out 16 of 71 (22.5%) attempted base stealers...started games at every spot in the batting order except clean-up...hit .205 in 27games batting first, .206 in nine games hitting third and .307 in all other spots in the order...had his firstcareer four-hit game April 14 at Chicago...was batting .327 over his first 16 games before being insertedinto the leadoff spot in the order April 18...batted leadoff in each of his next 20 starts through May 13and hit .200 over that span...had a career long 0 for 23 streak from May 7 to 14...was 4 for 5 with twodoubles, a home run and five RBI June 20 against Florida...the RBI were a career high and he matchedhis best in hits (second time)...became the second catcher in Oakland history with four hits and fiveRBI in one game (Gene Tenace, Sept. 14, 1973 vs. Texas)...three of the five RBI gave the A's the lead,including his third career walk-off RBI, a double in the 11th inning...is the first Oakland Athletic to havethree go-ahead RBI in one game since the stat was tracked beginning in 1974...finished June with a .370batting average, which ranked third best in the American League...then hit .326 in July...connected forhis first career pinch hit home run July 10 against Seattle and it was the first by an Athletic since AdamMelhuse Aug. 28, 2006 vs. Boston...had the game-ending pinch hit home run Aug. 15 against Chicago,the first such home run by an Athletic since Scott Hatteberg Sept. 4, 2002 against Kansas City...it washis second career walk-off home run...the A's were 6-1 in games in which he homered...had the gameendingpinch hit double Aug. 28 against Minnesota, his second game-ending pinch hit of the season...isjust the second player in Oakland history with two game-ending pinch hits in the same season...FrankFernandez also had two in 1970, both home runs...it was the second game-ending pinch hit double inOakland history (Tommy Davis, April 10, 1971 vs. Kansas City)...it was Suzuki's third game-endinghit of the season and the fifth of his career...it was his second game-ending double in 2008...the onlyother player in Oakland history with more than one game-ending double in his career is Terrence Long,who had three...missed consecutive games Sept. 23 and 24 at Texas following a collision at home plateSept. 22...it marked the first time he went back-to-back games without a start since Jason Kendall wastraded July 16, 2007. Made his Major League debut with Oakland in June and spent five weeksas the backup to Jason Kendall before starting 56 of the A's final 70 gamesat catcher following the trade of Kendall on July 16...made 61 starts totalbehind the plate...since 1988, the only Oakland rookie to start more gamesat catcher is A.J. Hinch, who started 109 games in 1998...batted .249 withseven home runs and 39 RBI in 68 games overall with the A's...led theteam with three sacrifice hits...hit .281 (45 for 160) against right-handedpitching and .151 (8 for 53) against left-handers...however, hit three of hisseven home runs against southpaws...his average improved to .290 withrunners in scoring position...was 4 for 9 (.444) with a grand slam and 10RBI with the bases loaded...five of his seven home runs came with runnerson base (three two-run, one three-run and one grand slam)...batted.288 with five of his seven home runs in the seventh inning or later...hit.229 over the first six innings of the game...batted .333 during 20 day gamescompared to .222 in 48 games at night...posted his best numbers againstDetroit as he hit .414 with one home run and eight RBI in eight gamesagainst the Tigers...saw most of his action batting ninth where he made ateam leading 47 starts...had six home runs from the nine spot in the order,which was third most in the American League...appeared in 66 games atcatcher and tossed out 7 of 36 (19.4%) attempted basestealers...also madetwo starts at designated hitter and was 1 for 2 as a pinch hitter...hit .185over his first 21 games through July 28, .312 over his next 28 games throughSeptember 2 and .212 over his final 19 games...had 11 RBI over his first34 games through August 14 and 28 RBI over his final 34 games. Was selected from Triple-A Sacramento on June 10 and made his Major Leaguedebut on June 12 at Houston...grounded out as a pinch-hitter in his first atbat in the 10th inning...became the fourth Hawaiian born player to play for the Athletics, joining Shane Komine (2006), Ron Darling (1991-95) andLenn Sakata (1986)...collected his first ML hit on June 14 at Houston, apinch-hit single off Brian Moehler in the 11th inning of the A's 6-5 win...hithis first home run in his fourth game on June 19 against Cincinnati, a soloshot off Todd Coffey in the eighth inning...homered again in his next gameon June 27 at Cleveland...had a five-game hitting streak from June 14 toJuly 1 (7 for 16, .438) that put his average at .412 after his first sixgames...then had a career-long 0 for 21 streak from July 2 to 20...caughtKomine in the eighth and ninth innings on July 17 against Texas to becomethe first Hawaiian born battery in Major League history...had his first careerwalk-off home run on August 16 against Chicago, a three-run shot offMatt Thornton with two outs in the bottom of the 10th inning in an 8-5win...added a career-high four RBI...had his first career three-hit game onAugust 26 at Tampa Bay...matched his career high with four RBI on September2 against Detroit...hit his first career grand slam in the secondinning on September 10 at Seattle...the four RBI matched his careerhigh...had a career-high seven-game hitting streak from September 16 to26 (8 for 27, .296)...closed out the A's season with a walk-off single in thebottom of the ninth inning in the A's 3-2 win over Los Angeles on September30...began the year at Sacramento where he batted .280 with threehome runs and 27 RBI in 55 games...those were his first games ever at theTriple-A Level...hit .344 (22 for 64) against left-handed pitching and .252(37 for 147) against right-handers...batted .327 on the road compared to.231 at home...hit .234 with runners in scoring position...batted .290 withall three of his home runs in 44 games at catcher and .238 with no homeruns and four RBI in 11 games at designated hitter...tossed out 16 of 42(38.1%) attempted basestealers...hit in every spot in the order except first,eighth and ninth and saw his most action with 33 games in the fivespot...batted .306 over his first 32 games through May 11, went 5 for 39(.128) over his next 10 games through May 23 and then hit .333 over hisfinal 13 games...had three home runs and 22 RBI over his first 34 gamesand no home runs and five RBI over his final 21 games...had a season-besteight-game hitting streak from April 15 to 23 (10 for 27, .370)...had back-to-back three-hit games in his final two Triple-A contests on June 7 and 8at Tucson. Spent the entire season at Double-A Midland where he batted .285 with seven home runs and55 RBI in 99 games...named to the Texas League All-Star team...hit .382 against left-handers and .254against right-handers...hit .330 with runners in scoring position and .356 with RISP and two outs...tossed out 33 of 70 attempted base stealers (47.1%), which was the second best mark in the TexasLeague...led all Texas League catchers in fielding percentage (.997) and games (91)...played for theUnited States in the All-Star Futures game July 9 at Pittsburgh and was 0 for 1...batted .362 over thefirst 18 games of the season and was hitting .287 at the end of May...hit .341 with two home runs and17 RBI in 24 games in June to boost his average to .306...then batted .234 with one home run and 13RBI over his last 30 games...went 3 for 5 with a home run and eight RBI June 22 at Tulsa...was namedto the U.S. Olympic Qualifying team...suffered a bruised left wrist while playing for the U.S. team inCuba and did not return to action with the RockHounds. Spent his first full professional season with Single-A Stockton and batted .277 with 12 home runs and 65 RBI in 114 games...added 63 walks for a .378 on-base percentage...ranked second on the Ports in hit by pitches (12), tied for second in triples (5) and was third in runs scored (85), hits (122) and walks (63)...also led the team with 16 grounded into double plays...his batting average broke down to .317 (38 for 120) with five home runs against left-handed pitching and .262 (84 for 321) with seven home runs against right-handers...average slipped to .263 (36 for 137) with runners in scoring position but he was 4 for 13 (.308) with a grand slam and 12 RBI with the bases loaded...made 104 appearances at catcher which led the California League...also topped CL catchers in total chances (947), putouts (882), errors (15) and passed balls (19)...tossed out 32 of 86 (37.2%) attempted base stealers...also went 13 for 38 (.342) with three home runs and eight RBI in 10 games at designated hitter...hit in each of the first six spots in the batting order and saw his most playing time in the five spot where he appeared in 42 games (46 for 163, .282)...reached base on catchers interference three times...started the season strong and finished it strong as he batted .301 in 19 games in April and .310 in 25 games in August...batted a combined .264 in the three months in between...was a perfect 4 for 4 on April 23 at Visalia, his only four-hit game of the season...had two home runs and five RBI on May 20 against Bakersfield for his only two-homer game of the season...the five RBI were also a season high...reached base safely in 27 consecutive games from June 1 to July 5...hit .286 (30 for 105) over that span and added 20 walks for a .409 on-base percentage...had a grand slam on June 17 against Rancho Cucamonga...went 41 games and 155 at bats without a home run from June 30 to August 27 but then homered in three straight games from August 28 to 30...added another home run on September 1 giving him four home runs and 10 RBI over a five game span...had a season best eight-game hitting streak from August 26 to September 2 (14 for 36, .389)...hit .222 (2 for 9) with a home run and two RBI in two postseason games for Stockton...then played for the Arizona Fall League Champion Phoenix Desert Dogs and batted .342 (13 for 38) with seven RBI in 13 games...added eight walks for a .447 on-base percentage. Was selected by the A's in the second round of the June draft and signed on July 12...was assigned to Single-A Vancouver of the Northwest League and batted .297 with three home runs and 31 RBI in 46 games in his professional debut...added 18 walks and was hit by a pitch a team leading 12 times for a .394 on-base percentage...tied for second on the Canadians in triples (3)...batted .323 (43 for 133) with all three of his home runs and 27 of his 31 RBI against right-handers and .214 (9 for 42) against left-handers...hit .349 (30 for 86) with all three of his home runs on the road compared to .247 (22 for 89) at home...hit .304 (17 for 56) with runners in scoring position...was 2 for 5 (.400) with two walks and eight RBI with the bases loaded...appeared in 27 games at catcher where he committed just one error in 200 total chances for a .995 fielding percentage...tossed out 4 of 24 (16.7%) attempted base stealers...also hit .343 (24 for 70) in 19 games as the designated hitter...saw most of his playing time hitting second in the batting order (42 for 148, .284)...began his professional career by hitting safely in each of his first 12 games from July 17 to 29...batted .362 (17 for 47) during the streak with two home runs and eight RBI...the home runs came in consecutive games on July 26 and 27 at Spokane...homered just once over his final 36 games...had five two-hit games over a six-game span from August 8 to 13 to put his season average at .323...then went 20 for 76 (.263) over his final 21 games to finish the year at .297...went 0 for 13 with a walk in three postseason games for Vancouver. November 20, 2018 Washington Nationals signed free agent C Kurt Suzuki. October 29, 2018 C Kurt Suzuki elected free agency. July 24, 2017 Atlanta Braves activated C Kurt Suzuki from the bereavement list. July 21, 2017 Atlanta Braves placed C Kurt Suzuki on the bereavement list. January 30, 2017 Atlanta Braves signed free agent C Kurt Suzuki. November 3, 2016 C Kurt Suzuki elected free agency. December 23, 2013 Minnesota Twins signed free agent C Kurt Suzuki. 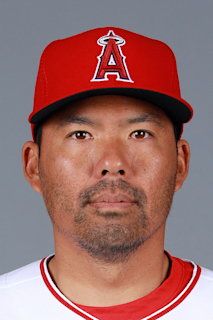 November 1, 2013 C Kurt Suzuki elected free agency. August 23, 2013 Washington Nationals traded C Kurt Suzuki to Oakland Athletics for RHP Dakota Bacus. August 3, 2012 Oakland Athletics traded cash and C Kurt Suzuki to Washington Nationals for C David Freitas. April 29, 2011 Kurt Suzuki roster status changed by Oakland Athletics. April 27, 2011 Oakland Athletics placed C Kurt Suzuki on the paternity list. June 14, 2010 Oakland Athletics activated C Kurt Suzuki from the bereavement list. June 11, 2010 Oakland Athletics placed C Kurt Suzuki on the bereavement list. May 16, 2010 Oakland Athletics activated C Kurt Suzuki from the 15-day disabled list. May 11, 2010 sent C Kurt Suzuki on a rehab assignment to Sacramento River Cats. April 30, 2010 Oakland Athletics placed C Kurt Suzuki on the 15-day disabled list retroactive to April 24, 2010. Intercostal strain.